Perhaps at no other time of the year do anglers enjoy a larger variety of fishing opportunities. Weather conditions can vary significantly. Whether fishing open water of power plant lakes or partially iced-up lakes and rivers, the water temperatures govern winter fishing. Some areas will be warmer due to warm water discharges or underwater springs affecting the temperature of the water surrounding them. Some lakes and rivers receive water from slowly meandering feeder creeks that pick up warmth as they flow through open country. So it is that anglers can still be ice fishing in one area and other anglers looking forward to pre-spawn activity. Add the conditions in the power plant cooling lakes and there is the opportunity to experience fishing for many species using a variety of techniques. Ice fishing anglers use 2- to 4-pound fluorocarbon and small jigs to seek out primarily yellow perch, bluegills and crappies. For bait they prefer small jigs with plastic grubs are the best bet. White bass and crappies prefer jigging spoons with spikes (maggots) or Fathead Minnows. The bite is always a light one. Open water anglers on the Great Lakes find the salmon species are a good bet using spawn sacks slowly jigged just off the bottom. An alternative is a white jig tipped with wax worms for the yellow perch. 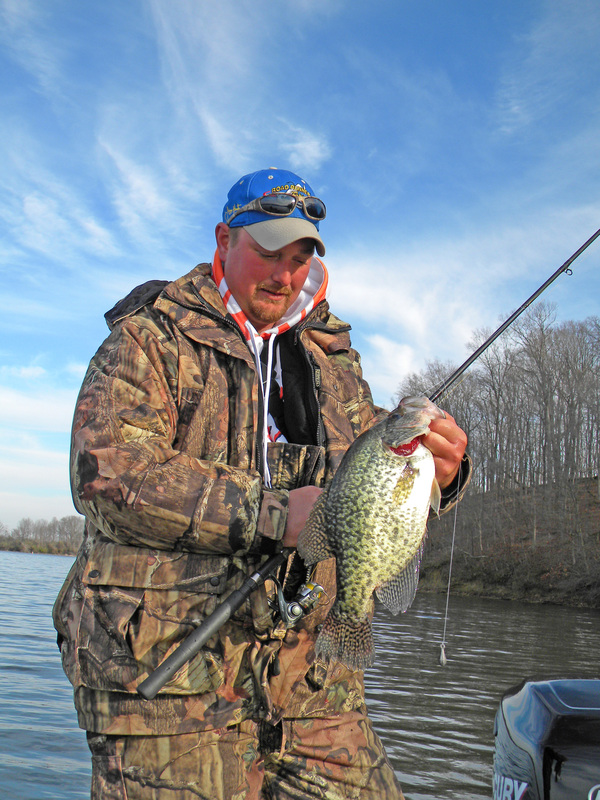 Panfish anglers, in open water situations, prefer small plastic jigs or jig/minnow combinations with light line on long crappie poles. Good colors for the plastic jigs are white, pink/green and chartreuse. Catfish anglers find their best results using cut bait, dough baits and nightcrawlers. The larger cold water species (walleye and muskie) in open water will take spinnerbaits and some shallow running crankbaits, such as bladeless rattling lures. Winter brings a different brand of fishing to many waterways. Here’s what to expect from this year’s hard-water season. Ice fishing is basically a sport practiced in the northern half of the country due to weather conditions. The southern half does not reach sustainable temperatures to form enough ice to support ice fishing. The northern areas sustain the sport from December to late February. Hard water anglers get as much fun out of planning forays on the ice any other fishing. They begin by selecting an area. If it is a forest preserve near home, obtain the stocking tallies from local websites. That way you have an idea as to what species to expect. It often becomes a family project to gather as much information about the proposed trip(s) on the ice. Anticipation is a large part of the fun for a family. Do not just wander out on the ice. Check on maps for structure and bowls in the water. Again turn to the Internet. Often a local park of governmental website will have topographical lake maps. Also search Google Maps (www.google.com) for photos of the same body of water. By combining the information from both, you can plan fishing locations. Look for sharp turns in the shoreline, weed edges and timber. By recording the GPS coordinates for the waypoints you have 10 to 12 locations to begin the search for fish. 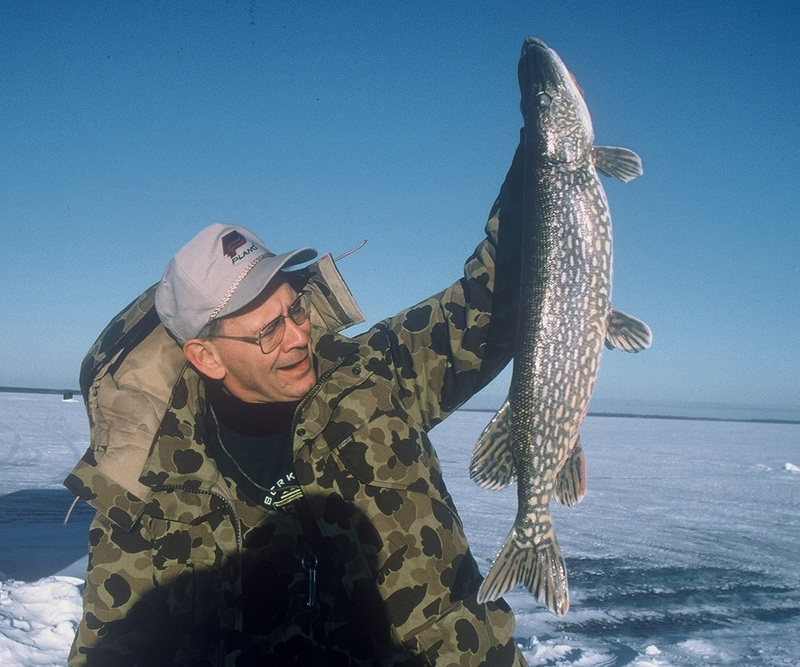 Many ice anglers use artificial lures almost exclusively. Some use natural bait only as a last resort. By experimenting with different colors on various bodies of water they find that glow jigs with glow tails are best for crappies bass and bluegills. Sometimes they get some success with an orange/red combination for bluegills. When choosing a color experiment by using a glow jig with a different color tail. If all else fails go to a black jig head with a red tail on 1-pound line. 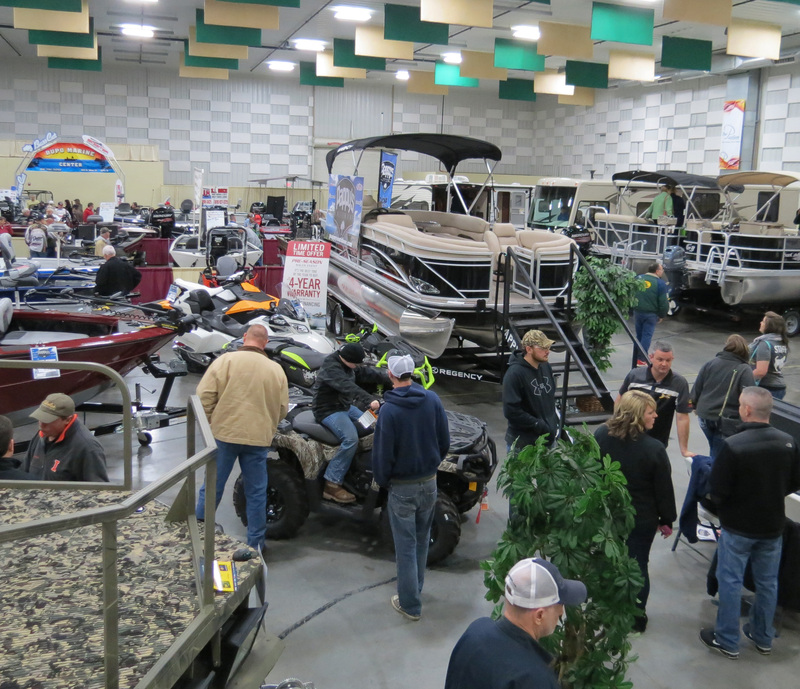 Post-season finds many picking several accessible lakes to explore as possible ice fishing locations for the next year. Check the maps and mark them with notes on breaklines and structure. Successful anglers always fish structure. They will fish on all sides and the top. The larger fish seem to be on the outside edges of the structure while the smaller ones seem to go into it for concealment. Due to the clarity of winter water, fish the water column from the top down two feet at a time. This is contrary to traditional ice fishing lore but it is successful for most ice fishermen. If permitted in site specific regulations make use of electronic fish locaters and cameras in some of the location you like to fish. Fish locaters and cameras are very effective in locating structure in the clear water of deep lakes. By keeping track of the stocking information on each lake during the year you gain an idea of species and numbers of fish.